Welcome. If you want to learn more about us, you have come to the right place. The IOTA (Islands On The Air) Programme is an exciting and innovative activity programme that has caught the interest of thousands of radio amateurs worldwide. Established in 1964, it promotes radio contacts with stations located on islands around the world to enrich the experience of all active on the amateur bands and, to do this, it draws on the widespread mystique surrounding islands. It is administered by Islands On The Air (IOTA) Ltd (called here IOTA Management) in partnership with the Radio Society of Great Britain (RSGB). IOTA Management has grouped the oceans' islands into some 1200 'IOTA groups' with, for reasons of geography, varying numbers of 'counters', i.e. 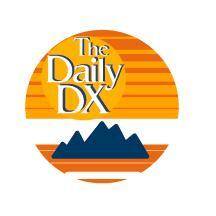 qualifying islands, in each group and has published the listings in the IOTA Directory and on the IOTA website. The objective, for the IOTA Island Chaser, is to make radio contact with at least one counter in as many of these groups as possible and, for the IOTA Island Activator, to provide such island contacts. The programme has a strong rule structure. IOTA Management encourages friendly competition among chasers by publishing details of participants' performance in an Honour Roll and annual listings, as well as by recognising it with certificates and prestige awards. Right, now you know the basic idea. This website will fill in the gaps. It has been designed by the IOTA IT Team to meet the specific needs of those participating in the programme. We are indebted to Michael Wells G7VJR for making Club Log available for QSO matching for IOTA awards. 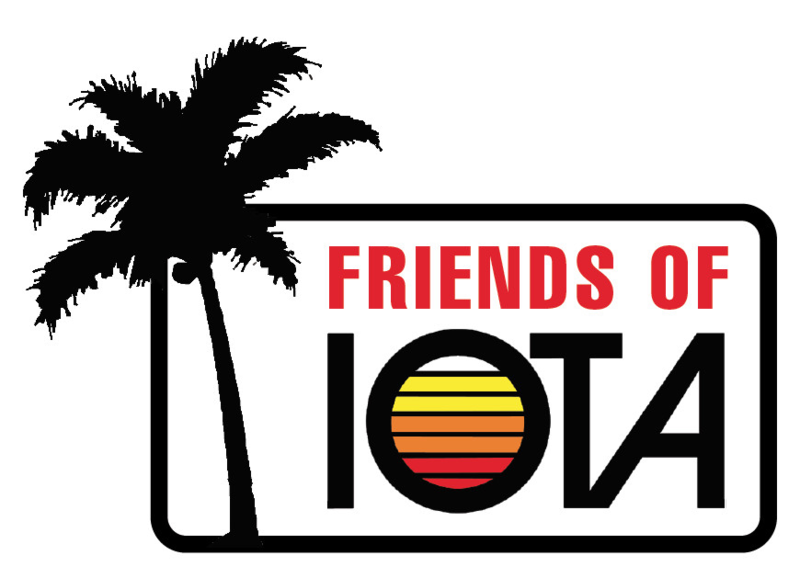 IOTA Management thank the many IOTA enthusiasts who have contributed to IT development through Friends of IOTA. Click here for a list of donors. 2019 IOTA Honour Roll – Annual Listings have been posted. The 2019 Honour Roll and Annual Listings have been posted on the IOTA website. It is with deep regret that I learned of the death on 11 December 2018 of Jan Hallenberg SM5DJZ. Jan had served as IOTA checkpoint for Scandinavia from 2002 until November 2017 when he had to step down for health reasons. Throughout these years he carried out the role of checkpoint conscientiously and with great care. He looked after the interests of his customers in Scandinavia well beyond what might be expected of a checkpoint. He gave back so much. At all times he showed himself to be a passionate supporter and friend of the IOTA Programme and with 1096 credits on the database reached the highest levels of performance himself. That kind of score can only be reached with real dedication. A true IOTA enthusiast in every way he will be sadly missed. On behalf of the IOTA Community I should like to express heart-felt thanks to our friend Jan and pass sincere condolences to his family. Rest In Peace. At its Board meeting on 17 November 2018 IOTA Ltd appointed a number of IOTA enthusiasts to serve as Directors on an enlarged Board. The full Board is Roger Balister G3KMA, Cezar Trifu VE3LYC, Charles Wilmott M0OXO, Dan Sullivan W4DKS, Hans-Georg Goebel DK1RV, Jim Nakajima JA9IFF and Ghis Penny, ON5NT. We thank Dr Jeff Cantor K1ZN who stepped down as Director in early November for his help and support during his period of service on the Board. We welcome the new appointees and look forward to the added strength they bring to the programme’s management. IOTA Management announced on 31 August 2018 on the IOTA website the five yearly review of the Directory list of IOTA groups (see previous Management News item). It mentioned its intention of releasing a small number of additions at this year’s RSGB Convention in Milton Keynes with a second tranche at Ham Radio Friedrichshafen in July 2019. IOTA Management is grateful to proposers of some 28 candidate groups received by the 1 October deadline. On Sunday 14 October IOTA General Manager Roger Balister, G3KMA announced the first tranche of 6 new groups at the RSGB Convention. They covered a Swedish/Finnish joint sovereignty island and groups in North America, Asia and Oceania. All new groups have provisional numbers. This means that they will need to be confirmed by an operation taking place after 14 October 2018 that meets the 1000 QSO and other normal validation requirements. Only after confirmation of the number will credit for past operations be considered. Read the full list here. Details of where to contact if you have any concerns. The IOTA Management Team is pleased to announce the appointment with immediate effect of two new checkpoints to cover Spain and Canada. Christian Cabre, EA3NT has agreed to take on checkpoint duties for Spain, previously covered by Josep Gilbert, EA3BT and Nuria Font, EA3WL. His email is ec3adc@gmail.com. Our thanks go to Josep and Nuria for their long service over many years and we wish them well. Bud Powell, VE7SMP has agreed to accept a similar task for Canada, previously covered by Reg Beck, VE7IG (SK). His email is ve7smp@rac.ca. Their mailing addresses are OK in QRZ.com. We welcome Christian and Bud to the team and look forward to an increase in IOTA awareness in their areas. IOTA Participants in these countries, please note your new checkpoint. It is with great sadness that I learned of the death on 24 July 2018 of Reg Beck, VE7IG. Reg had served as IOTA checkpoint for Canada since 2003, carrying out the role conscientiously and with great care. He stepped down in March this year for personal reasons. As long as I can recall, he showed himself to be a passionate supporter and friend of the IOTA Programme although he put as much into several other award programmes and was amongst the top achievers in all of them. In recent years he operated at times as VE1DXA from his daughter’s home in Nova Scotia from where he activated a number of IOTA groups. He was a real IOTA enthusiast who will be sadly missed. The IOTA Community expresses heart-felt thanks to our friend Reg and passes sincere condolences to his family. Copies of IOTA Directory 2018 can now be purchased from the IOTA Shop. This 18th edition will probably be the last paper edition to be printed, the inevitable consequence of the Internet age. The Directory contains the complete listing of 15,000 IOTA islands as well as everything readers need to know to participate in the programme. Included in the colour section are fascinating reports on several rare IOTA operations, well worth reading. The rules have seen a major and once only restructuring to make them easier to follow. The list of Most Wanted IOTAs has been recast to show the listing in three ways: based on contacts credited all-time, credited to those who updated in the last 10 years and to those who did so in the last 5 years. Regular features such as the Honour Roll and other performance listings, award winners and advice on making a first application are also included. Remember, this may be the last printed edition published, so if you prefer to check data in paper form, you would be well advised to purchase a copy. In addition to the Directory the newly established IOTA Shop also offers IOTA flags, large and small, and IOTA patches. More to come.